Soula Hotel i Naxos, Grekland : Boka nu! We stayed here for 3 nights and its really close to everything. 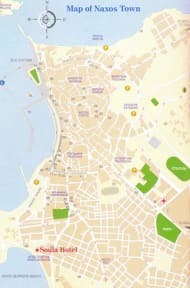 Just a couple of minutes walk to the center of town and right by the beach. The staff was so nice. They showed us different rooms when we arrived and even took us to the ferry when they saw that we were in a hurry. Ypperligt läge precis vid stranden. Vi fick ett rum en trappa ner. Helt ok rum men ingen rolig balkong. Trevlig personal. 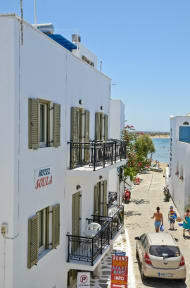 Uncomplicated, good athmosphere, great location in relation to Naxos town, supermarkets and the bus station. Friendly staff! !